One of the most popular things I have found people have been searching for when they come across my blog is the Sephora Color Anthology Palette, which came out in time for the 2013 holiday season. I did a review and tutorial using the palette last month but I thought I would create another look, this time with more fun colours. The Sephora Color Anthology palette (C$42) is a portfolio of 70 eyeshadows that vary from fun, bright colours to wearable neutrals. This is a great palette for those who are just beginning their collections and who have a pretty eclectic one already. Not going to lie, I didn’t have high hopes for this, but I was pleasantly surprised on how pigmented and blendable these shades are. I did create a wood fairy look using the green shades at Halloween time, and then a neutral look in December, but I wanted to do something that utilized the blues in this set because there are quite a few of them. Of course, you don’t need this particular palette to recreate this, you can use any blue shadows. 1. First lay down an eyeshadow base. You can use an eyeshadow primer or a cream eyeshadow like Rimmel London ScandalEyes Eyeshadow Stick in Tempting Turquoise and then blend it out. 2. With an aqua colour, apply this along your eyelid. 3. With an aquamarine/teal colour (the one I used was below the lid colour), apply this in your crease using a blending brush. 4. With a dark blue colour, blend this into the outer edges, darkening it up. 5. To highlight, use a light blue colour and dab this into your inner eye corner (the shade I used was just left of the lid colour). 6. For the lower lash line, apply the second colour you used (the first colour you put in your crease) and line your lower lash line with it. Then, grabbing that dark blue colour you used to darken the crease, apply this on the outer corner of your lower lash line. 7. Line your upper lash line with a black pencil liner, slightly winging it out and then apply a couple coats of mascara. 8. To finish the eye area, fill in your brows and then using a cream colour, pop this along your brow bone. And that’s the final look! For the face, I used Covergirl Stay Fabulous 3-in-1 foundation, IT Cosmetics Bye Bye Undereye concealer, Make Up For Ever Pro Finish Powder, Covergirl Clean Bronzer in Spices to contour, NARS blush in Madly, and Marc Jacobs Beauty LOVEMARC Lip Gel in Strange Magic. 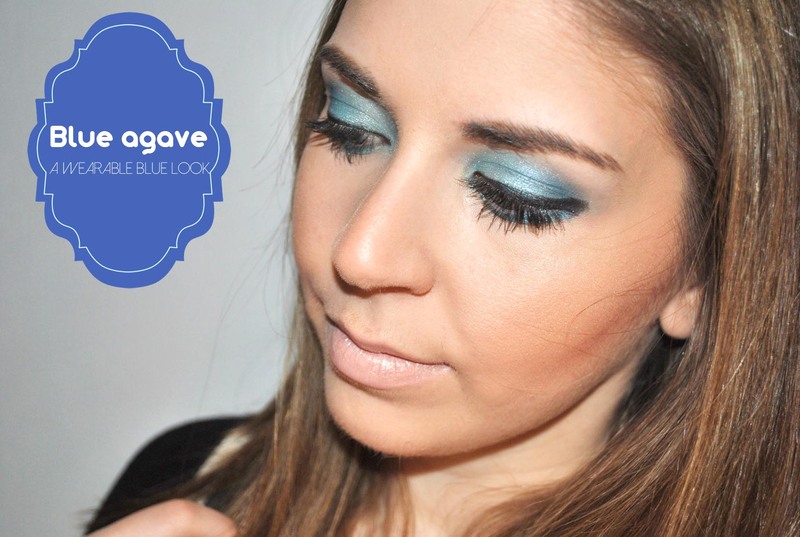 I hope you enjoyed this blue look and although it’s a bit out of my comfort zone to wear as an everyday look (especially on a Monday), this one is gorge to rock on a Friday or Saturday night. 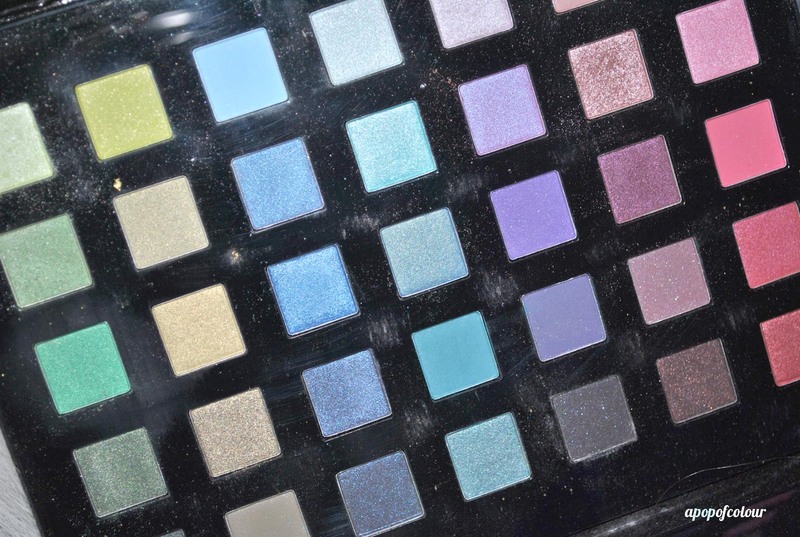 Do you have Sephora’s Color Anthology palette? What are your favourite shades? Also, don’t forget to enter my Sally Hansen giveaway, ends Wednesday!! « Top 13 of 2013!